Up until recently I had a very narrow minded view on nappies. 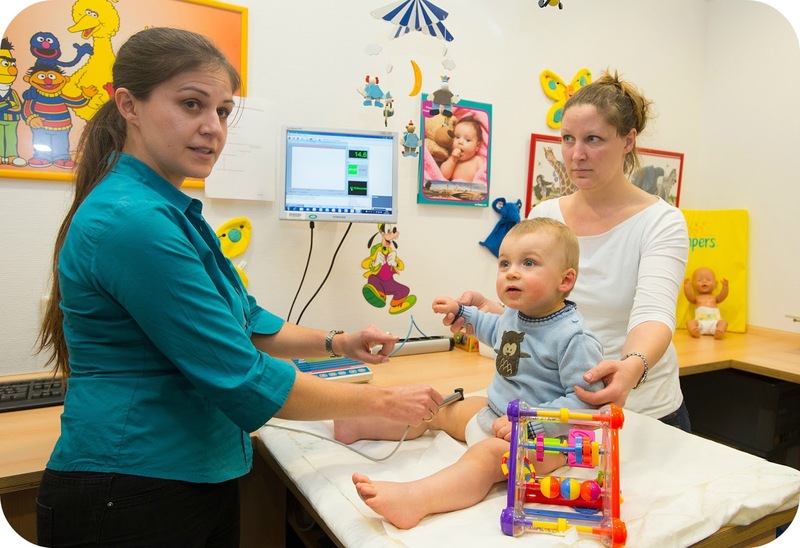 I had never considered the technology and research that goes into making them, the tests they would have to carry out to even deem them safe for our children. You see.. I really was that narrow minded. We have used Pampers with Leo since he was a tiny newborn because they seemed to fit him perfectly and we never had any problems. Of course we have tried other brands along the way but we always come back to Pampers. We still use Pampers today and at 21 months old we are still as happy if not happier with them. I say happier because I have recently opened up my mind to the world of nappies, and I have learnt many interesting things that I think all parent’s should know. 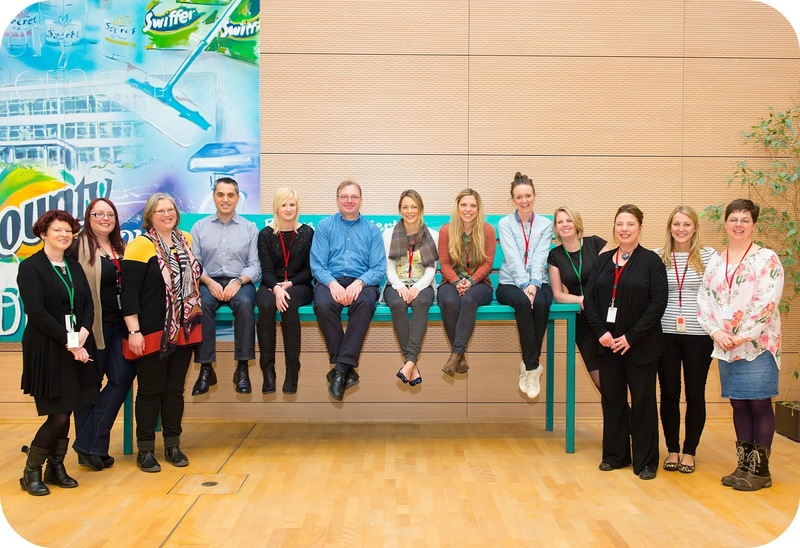 You should know all about the care and research that goes on behind the Pampers brand, the love and dedication that I felt upon a recent visit to their factory in Frankfurt. Pampers very kindly gave us the low down on disposable nappy history, being fairly new to the nappy table and only ever coming across nappy's in retail today, it is fair to say that I let my mouth fall wide open and hit the table. Some of these nappies from back in the day were big, plastic and alien looking. Well in comparison to the selection on offer in 2013! The purpose for the trip over to the fancy head office in Frankfurt was to see the new and improved Pampers Baby Dry nappies. This clever nappy is jam packed full of science, yes science! I won't go into all the in's and out's on the science in the nappy but what I will tell you is that it absorbs wetness faster than ever before. They have improved the sleep-layer by making it longer and enabled the nappy to absorb large amounts of liquid faster than ever before! I have seen first hand just how quickly these nappies react when liquid comes into contact with the nappy. Pampers research highlighted that babies being dry during the night would most likely help them to sleep better, as the act of going to the toilet is enough to wake them up, which highlights the importance and the need for the wetness to be taken away and locked away as quickly as possible. Would you believe it if I told you that it takes 10 years to develop and manufacture a nappy? Because before this eye opening experience around the Pampers Factory I would have thought that was madness, but it is completely and utterly true. The attention to detail that goes into Pampers nappies is second to none, they think of absolutely everything. Looking around the factory they are fully set up to test the nappies before they go to market and part of this test is carried out in the soft play area within the factory! They send out the nappies to local families in Frankfurt and invite them in to play, as they run around the nappies are put to the test! Every single morning sixty babies are brought into the facility to provide Pampers with essential feedback. All the babies are still in their overnight nappies so that they can run tests. One by one they are taken into the test room in order to have the climate in their nappy tested and to check the skin moisture readings. The children were so happy in the play area, running around and enjoying themselves and they didn't even mind the tests that were being run. It was so interesting to see all of the readings that were continuously taken in order to provide customers with the best. I had no idea so much time, effort, science and technology went into one nappy. 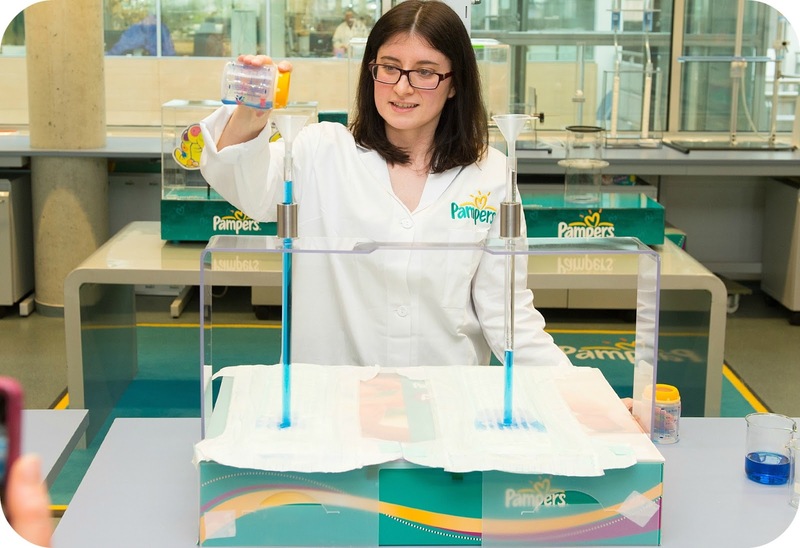 I had no idea that Pampers did so much testing behind the scenes and that it takes a whopping 10 years to produce a nappy! Here you can see a little of what we experienced on the day. I was also very privelaged to meet Wendy Dean, Pampers Sleep Expert who is very hot on all things baby and of course sleep! Here is what Wendy has to say on getting your little one's to bed and into a routine that works for you. Disclaimer: Pampers very kindly invited me out to Frankfurt and covered all of my travel costs, and just generally pampered us all. Everything I have shared here is either my personal opinion or based on actual fact.